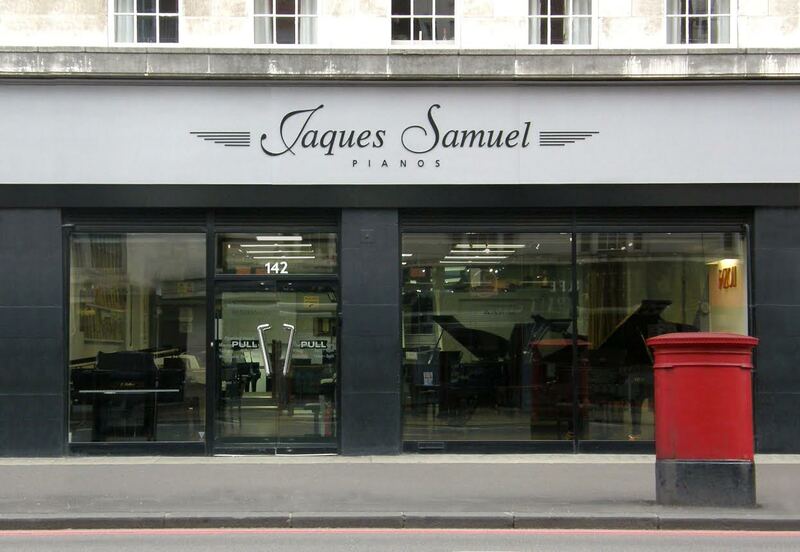 Do you own or run a piano shop in London or in the United Kingdom? Please note online shops will not be included, you do need a physical store to qualify. 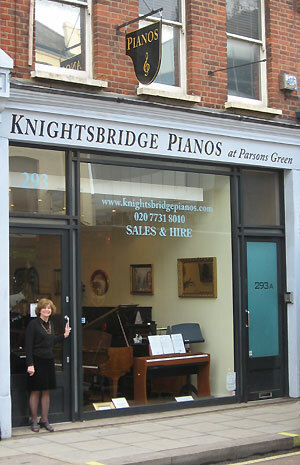 Knightsbridge Pianos is a family-run business in Parsons Green, South-West London. The two floors of our showroom allow us to exhibit a fine selection of new and used pianos, and we have more under restoration in our nearby workshops. Yamaha Music London is a world famous piano, musical instrument and musical equipment retail store that showcases Yamaha craftsmanship and innovation over three floors. There is a unique wood panelled Piano Hall showcasing an impressive range of pianos from traditional entry level pianos to concert grands through to the TransAcoustic Piano, the very latest in cutting edge technology. Yamaha Music London has a busy programme of instore concerts, recitals and presentations which take place throughout the year and are free of charge to attend. They specialise in Kawai, Petrof, Shigeru Kawai, Grotrian-Steinweg, Fazioli and Bechstein pianos. They have a formidable team and excellent staff who is always ready to assist you with your enquiry. Peregrine’s Pianos is the exclusive dealer in London for two of the finest German piano manufacturers – August Förster and Schimmel. 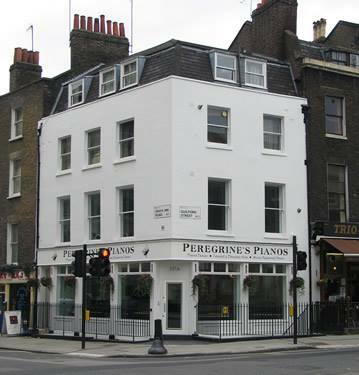 Peregrine’s Pianos also present a range of preowned modern pianos by various manufacturers and offer both long-term domestic hire, and concert and event hire. Markson Pianos is a 3rd generation family business that was founded in 1910 by Louis Markson. Located on Albany St in London, Markson Pianos offer a wide choice of instruments to buy and rent, as well as restoration services and sound advice. We have showrooms in London and Manchester and are a leading specialist in reconditioned acoustic Yamaha pianos. Visit us this weekend, pay nothing until the piano arrives. Morley Pianos is a family run company founded in 1881. We have extensive workshops and showrooms in Lewisham with an excellent choice of upright and grand pianos to buy including new instruments by C. Bechstein, W. Hoffmann, Grotrian-Steinweg, Weber, Bentley, Monington & Weston and Ritmuller as well as secondhand, home rental options also avaiable as well as restoration and repair services. For those interested in early keyboard instrument we also stock harpsichords, spinets and clavichords. Musicland (UK) Ltd London/Bromley is located on A21, South East London border with Bromley Kent boasting over 30 years off experience and knowledge, Musicland are able to offer you the very best help and advice in choosing your new piano including piano lessons. the longest warranties in the industry, up to 10-years on most pianos. Interest-free 0% finance options available to spread the cost, much more cost-effective than renting! Part exchange welcome. We buy pianos, and also offer a bespoke piano selling service on behalf of clients. Tuning, repair and renovation specialists. Piano moving and shipping experts anywhere in the world! Practice studios and recording studio housing a top quality full-size Steinway or Bluthner or Bechstein grand piano. Montague Pianos, established in 1879 & now based in Northchurch in Hertfordshire is a family run piano shop open Tuesday to Saturday 10am to 5pm. Our showroom has a broad range of new & used acoustic and digital pianos to suit all needs and abilities, we also run a local piano tunings and removals service. We offer 0% finance for parents with children under that age of 18 on the Take it Away scheme for all new and used instruments.. The Piano Shop has a fantastic selection of pianos at all levels, both upright and grand, new and restored. There are many restored Yamaha uprights and a wide range of other makes, such as Bechstein, Bluthner and Steinway, as well as digital pianos. We also have a workshop and offer restoration. The Piano Shop team are passionate about everything to do with the piano. The founder, Nigel Scaife, studied at the Royal College of Music and is an examiner for ABRSM and regular contributor to Pianist magazine. There’s plenty of easy free parking and we offer free ground floor delivery on all pianos – so why not visit us and find the perfect piano for you! Bonners Piano Centre is the ultimate destination for piano lovers. Our dedicated piano showroom covers 4,500sq ft. and is home to over 100 pianos, ranging from compact upright pianos to full-size grands. We stock everything from traditional acoustic upright & grand pianos, as well as a full range of digital pianos. Piano workshop facilities on-site. You can find the piano gallery in the historic market town of Faringdon in Oxfordshire and with convenient road and rail links, getting to the piano gallery could not be easier. The piano gallery is located 9 miles south of The city of Oxford. (and 11 miles north of Swindon) A visit will make for an interesting day out in this lovely part of central England. The proprietor of The Piano Gallery, Claire Dash will be very happy to guide and assist you with any Piano related query you may have. She has been involved in the piano trade for over 10 Years, and can help with any enquiries, no matter how large or small. You will be made welcome to browse through the stock, either by dropping in during our opening hours or by prior appointment. We offer the unusual opportunity to compare our extensive range of digital pianos with acoustic. Clement Pianos are a family run business established in 1919. We are piano specialists offering, new, pre-owned and reconditioned upright and grand pianos. We also stock digital pianos by Kawai, Yamaha and Casio, plus all associated accessories. We have a recording studio specialising in piano, vocal and acoustic instrument recording. Opening times are 10am – 5pm Monday to Saturday. Visit our showrooms where you will receive a friendly welcome and helped by our experienced, knowledgeable and professional team to find the right piano for you. Technician owned and run since 1981, Venables are proudly a family business. We are long-standing official Main Dealers for Yamaha Piano. In fact, we were one of the first UK Yamaha grand piano centres to be opened in the 1980s. We are principle dealers for the luxury European piano maker, Petrof, and home to our bespoke specification piano series “Venables & Son“. 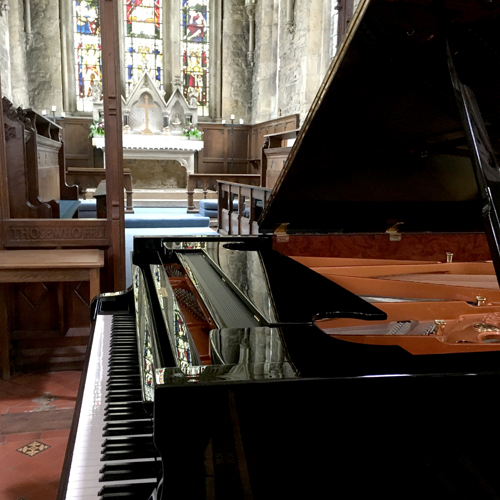 Housing a specialist range of performance upright, baby grand and standard grand pianos, Venables exceed the requirements of the pianist at every level. Tel 01494 813388 with FREE car parking right outside the door. 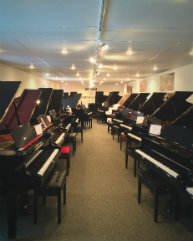 One of the largest piano only showrooms in the South, stocking a huge choice of both New and Second hand upright grand and digital pianos. Approved stockists for Kawai, Yamaha Casio , Bentley plus Yamaha Disklavier and Silent pianos. Piano Auctions Limited is the largest auctioneers of pianos in the world. We offer free verbal valuations for our auctions and advice on buying to potential purchasers. Our offices are based in Cardington, Bedfordshire and we hold four auctions per year at Conway Hall, Red Lion Square, Holborn, London. Each sale will have a selection of up to one hundred and twenty pianos including: Steinway, Yamaha, Bösendorfer, Boston, Bechstein, Blüthner, Kawai, etc., with prices from £400 to £40,000. Our friendly staff will be happy to advise on all aspect of the auction process. Joseph is a qualified Renner Recognised Technician, learning from leading pianoforte master craftsmen in Germany. He is a member of the Pianoforte Tuners’ Association and a fellow of the Institute of Musical Instrument Technology. Joseph gives his time as a council member of the IMIT, Louis Renner & Co Trained Technician, Member of the Pianoforte Tuners Association, Fellow of the Institute of Musical Instrument Technology, Registered Field Expert for Dampp-Chaser Electronics inc. USA and International Association of Piano Builders and Technicians. A Dorset piano business which was established in 1953 specialising in tuning, repairs and restorations and sales, a father & son business that has in the past for decades been county council contractors for piano maintenance for Dorset, Hampshire, West Sussex, Bucks, Harrow. We have a stock of about 50 pianos being a mixture of new Kawai, Steinhoven and Reid-Sohn pianos along with used upright and grand pianos of all makes and some new Kawai digitals. Our on-site workshops undertake minor repairs right through to full restorations and everything in between. We offer a local removal service as well as concert & event hire and domestic piano rental for all abilities. Our experienced staff are there to advise, and happy to help with any piano related inquiry. We also incorporate the manufacturing base of Cavendish Pianos, the British Piano. As a piano factory we are able to undertake major rebuilds of pianos. 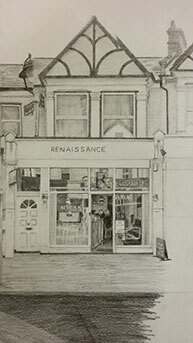 A friendly atmosphere and knowledgeable staff.